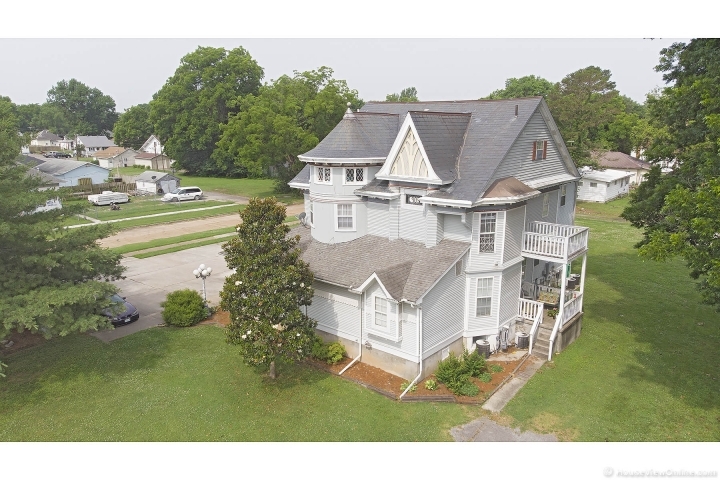 This Historic Victorian style 2.5 story Multi-Family is located in the quiet peaceful Southeast Missouri town of Chaffee MO. Completely renovated, this extraordinary property offers 4 spacious apartments, (3-2bedroom, 1 bath, and 1-3bedroom 1.5 baths), and separate utilities for each unit and the common area. Each unit comes with central heat and air, a washer dryer hookup, outside porch or balcony, a separate storage area in the basement, an intercom doorbell system for visiting guest. There is an abundance of off-street parking, and the oversized lot offers a potential for additional building space. The exterior and interior common areas still reveal most of its original characteristics and charm. This is a great opportunity for someone looking for a little something more in an investment property.